As a toxic-free products expert and a shopper myself, I need to be able to evaluate products quickly to determine if they are toxic—and if so, how toxic—or if they might be toxic-free. Some readers and clients also ask, “How toxic is this product really?” to see if they can get away with using a product they like, and others are looking for only the purest toxic-free products that exist. Therefore, I have for some time needed a quick-and-easy method to categorize products in a way that indicates their relative toxicity and safety—both to use for myself, to use to communicate with others, and for others to use to communicate the relative toxicity or safety of products. When I walk into a store or go to a website, for example, I am mentally scanning the products according to a general criteria I actually have had for many years. Zero Toxics is a work-in-progress. The most important thing to me is to get as much data as possible posted as quickly as I can. Therefore, sometimes the formatting won’t be as beautiful or consistent as it could be because I’d rather you have the data than wait for someone to create better images or figure out how to format something. I’m creating the big picture here. Formatting and filling in all the details will happen as I put the pieces together. Not likely to lead to illness or injury under normal use – made from organic or sustainable renewable plants or animals, or abundant minerals. Not likely to lead to illness or injury under normal use – made form renewable plants or animals, or abundant materials. Not likely to lead to illness or injury under normal use – made petroleum. 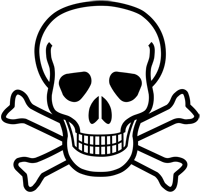 Known to cause illness or injury with repeated exposure over time – made with one or more chemicals of concern. Known to cause immediate harm and may even lead to death – made with one or more chemicals of concern. My Zero Toxics Products + Materials Matrix begins with a general relative toxicity scale that applies to all products, then breaks down into sector scales for groups of related products, and then finally into more than 100 scales for specific products. Not likely to lead to illness or injury under normal use—a certified organic product where all materials and the manufacturing facility and process are certified organic. Not likely to lead to illness or injury under normal use—made from certified organic or sustainable materials that come from renewable plants or animals, or abundant minerals. Made from renewable plants or animals, or abundant minerals. Toxic chemicals may be used to some degree in production or processing. 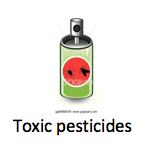 May contain residues of toxic contaminants such as pesticides or pollutants. The rating C+ is given when the materials meet this criteria, but the product has an additional benefit that is beyond the usual product in this category. Not likely to lead to illness or injury under normal use—made from renewable plants or animals, or abundant minerals. Toxic chemicals may be used to some degree in production or processing. May contain residues of toxic contaminants such as pesticides or pollutants. 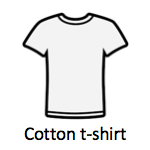 Made from petroleum-based ingredients such as nylon or polyester. May not be suitable for people with Multiple Chemical Sensitivities or other high-risk group. The rating C+ is given when the materials meet this criteria, but the product has an additional benefit that is beyond the usual product in this category. Not likely to lead to illness or injury under normal use—made from petroleum. May not be suitable for people with Multiple Chemical Sensitivities or other high-risk groups. Known to cause immediate harm and may even lead to death—made with one or more chemicals of concern [usually have warning labels on products. Keep out of reach of children.. This is a simple A-B-C-D-E-F rating system because there are no terms that can be used that would apply to all products for each rating across all product categories. 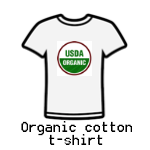 The criteria for an “A” rating, for example, would be organic fabric for a t-shirt, but a water filter isn’t made from agricultural materials, so it can’t be organic. But there can be an equivalent degree of toxic-free for other products. 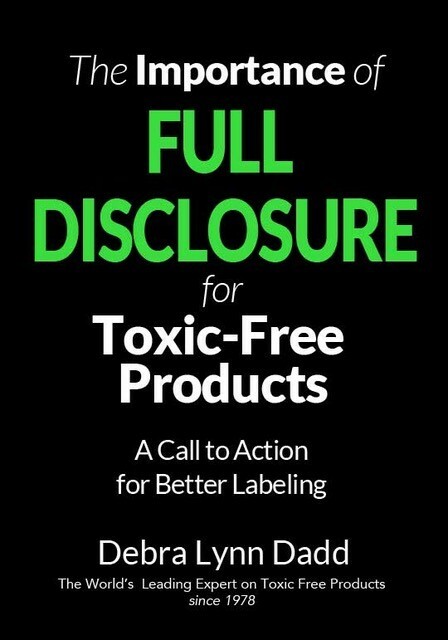 The A-B-C-D-E-F Zero Toxics Products + Materials Matrix harkens back to the A-B-C ratings I used in my first book Nontoxic & Natural, published in 1984. Though I have not used these ratings in public through the years, they have remarkably withstood the test of time in terms of their usefulness and have been the foundation of my thinking process continuously since. 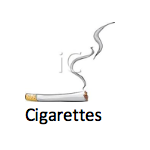 These products contain none of the harmful substances listed at the beginning of the entry. Prepared foods contain at least one organic ingredient [this was before there was an organic standard] and many contain honey, rice syrup, barley malt syrup, or date sugar as a sweetener. A-rated products are truly nontoxic and natural: they are not merely the most nontoxic or natural that happen to be available. For many entries, no brand names are rated A.
may have some unavoidable plastic parts. A C-rated product is included only when it has a particular advantage, even though it normally would be excluded because it contains one or more of the harmful substances listed (an unscented beauty product that contains synthetic glycerin, for example, or an additive-free but sugar-sweetened chocolate bar). products rated C may contain sucrose, hydrogenated oil, synthetic glycerin, or some plastic if those are on the harmful substances list. In addition, C-rated cosmethings may contain artificial colors, mineral oil, talc, paraffin, or EDTA. These products are not really recommended but are better than others. If you must have a chocolate bar, select a C-rated on rather than another containing more artificial additives. Of course, there were limitations to these A-B-C ratings and things not known at the time that we know today. 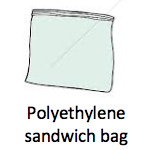 One of the major improvements to the ratings in the Matrix is the ratings apply to both products and materials, so I can note the degree of safety or harm for both products and materials, instead of putting both benzene and artificial colors on the same list as if they were equally toxic and equally important to avoid. I went on to say please do not take these ratings too literally; they are provided simply as a rough guideline to help direct you to products or catalogs that will meet your needs so you do not waste your time or money. Always investigate the products for yourself. And this applies today as well. The marketplace and materials are constantly changing. What I say today may not be true tomorrow. ALWAYS INVESTIGATE PRODUCTS AND MATERIALS FOR YOURSELF. AND LET ME KNOW IF ANYTHING I WRITE NEEDS CORRECTION. Developing the Matrix is a work-in-progress and will likely change as the sector and product outcome scales are developed. Almost there! Enter your details to gain instant access.